Hey everyone! We are super excited to announce a Release Week Blitz that we're hosting for a paranormal romance novella DESI (The Greyhounds of Sorrento #1) by Carolee Croft, which releases on June 15, 2018! The blitz is scheduled for the week of, June 15th and can go up at Midnight Eastern or any time after that on release day, and we'd love to have you take part! If you'd love to participate but won't be able to get your post up by Midnight Eastern on Friday the 15th, posting later that day or the following day will be absolutely fine! We will send everything you need for your posts by, June 13th . But if you do sign up after the 13th we'll send you the details out on the 14th. We are anxiously awaiting DESI (The Greyhounds of Sorrento #1)'s release on June 15th and are super excited to share the news about its release. Julia Rossi is a woman of reason. A scientist. Someone who doesn’t take things on faith. When she inherits a house in Sorrento, Italy from an uncle she barely knew, Julia does not actually believe that her uncle was a wizard and that she is the successor to his magical legacy. Be that as it may, she enjoys a good brain-teaser, and the house comes with a host of supernatural secrets, including a cuddly Italian greyhound who mysteriously vanishes. Julia starts to realize that she must protect the powerful magic bequeathed to her, though she still doesn’t believe that the incredibly gorgeous motorcycle rider who rescued her from being kidnapped by gangsters is actually a cute little werehound. This paranormal romance novella is part of a series, but each story in the series can be read as a standalone. 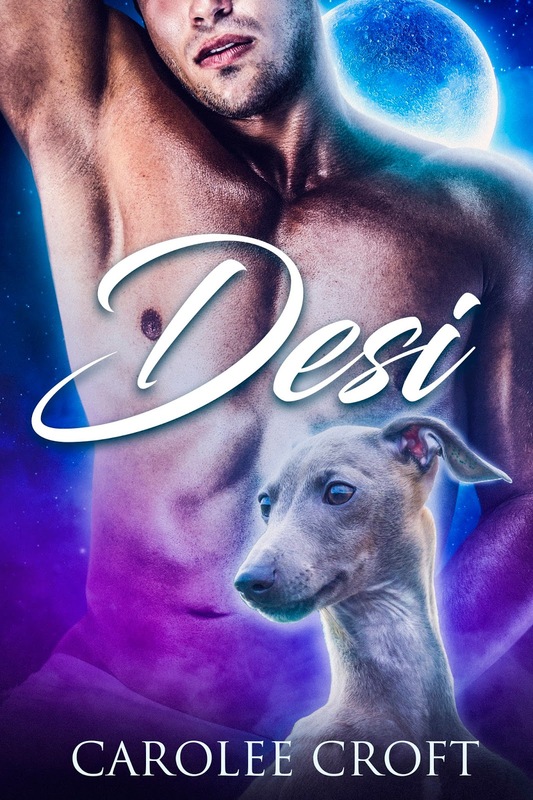 Warning: Contains steamy love scenes and extremely cute greyhounds.